July 1st, 2005 -- Max's long tail. 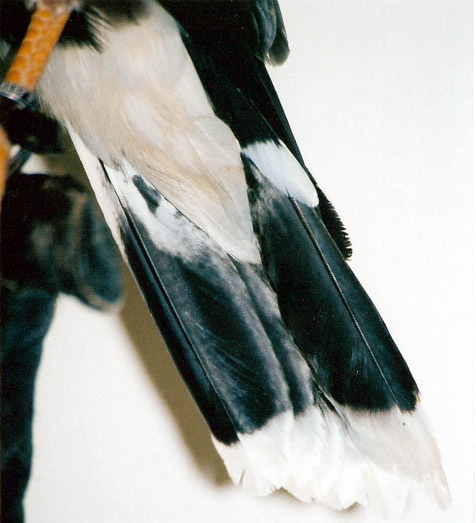 Although the same species as Bandit, this is one area in which it is easy to tell the two birds apart. Bandit's tail is quite obviously barred black and white, whereas Max's tail is only tipped white.